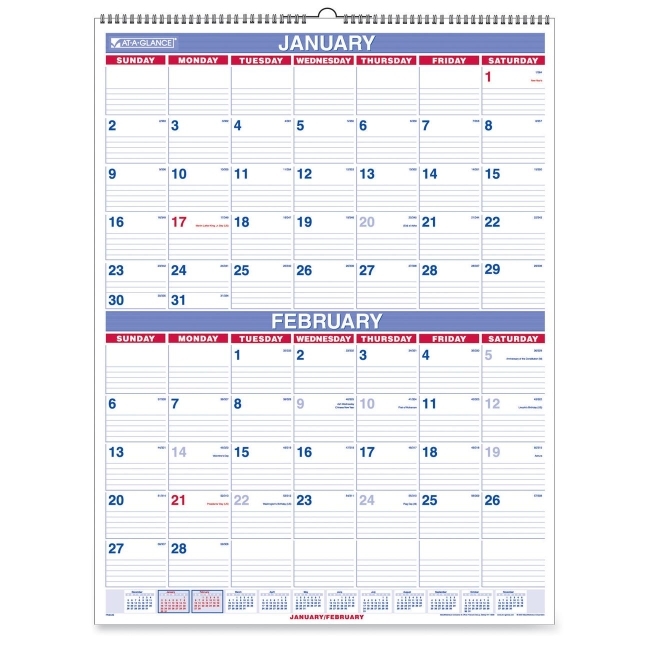 Block Size: 3" x 2.25"
Media Size: 29" x 22"
Monthly wall planning calendar features two full months per page from January to December. One-page-per-two-month spreads include a full-year calendar reference, ruled blocks (3" x 2-1/4"), plenty of writing space and holidays highlighted in red. 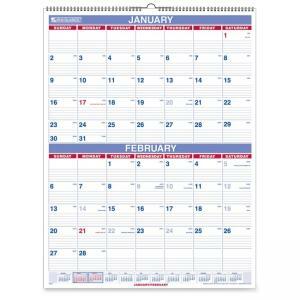 Wall calendar offers white wirebound with hanging loop and is printed on quality recycled paper with 30 percent post-consumer material.